November 13th 2017 marks the 50th anniversary of the death of Robert Moyes Adam, a man central to the origins of RBGE’s photography unit. Often referred to as a ‘son of the manse’ he was born in Carluke, Lanarkshire, to Rev. John Adam and his wife Isabella (nee Moyes) in 1885. 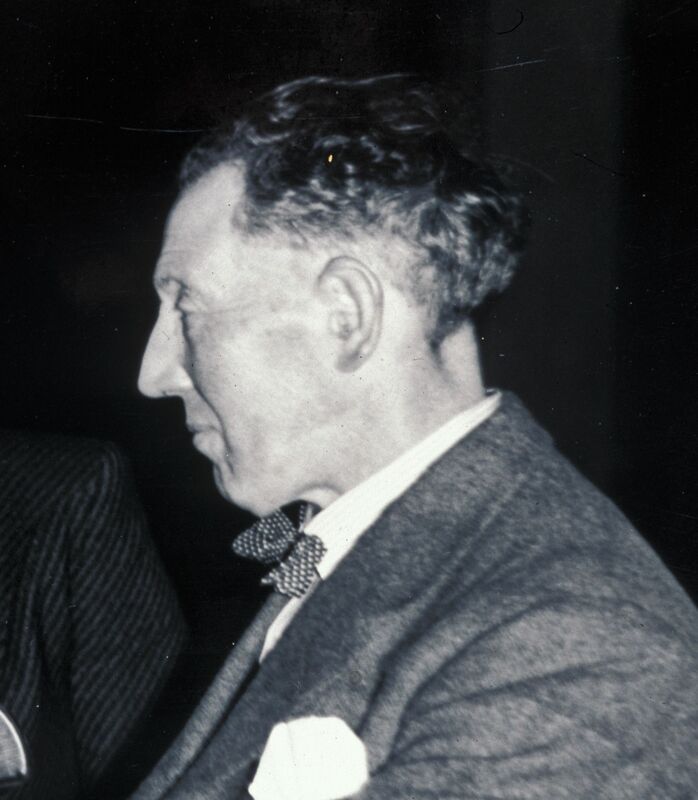 Robert Moyes Adam pictured at his retirement from RBGE in 1949. 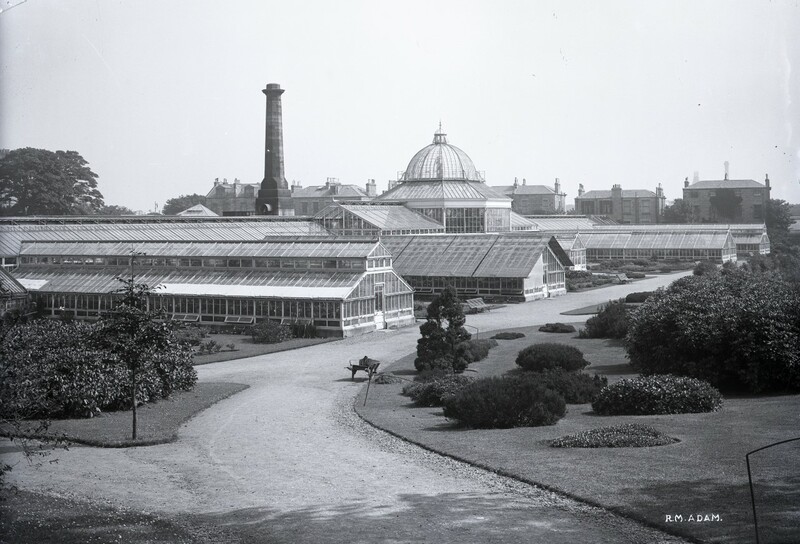 After studying science at Heriot Watt College and whilst he studied drawing at Edinburgh College of Art, Adam started work at RBGE in 1903 preparing lecture illustrations for the Regius Keeper, Isaac Bayley Balfour. In 1914 he was made a permanent member of staff as assistant in charge of the studio and in 1915 promoted to the new post of Photographer and Artist, remaining in this post until his retirement in 1949. During his career Adam became official artist to the Botanical Society of Edinburgh (BSE), and Secretary of the Scottish Alpine Botanical Society, an offshoot of the BSE, but he became best known as one of the foremost landscape photographers in Scotland, illustrating publications such as Quigley’s ‘The Highlands of Scotland’, 1936, and publishing pictures regularly in the Scots Magazine, the Scotsman and Picture Post. Throughout his career he used a heavy half plate camera bought in 1908, printing all the photographs himself in a style difficult to replicate today and his personal collection of negatives are now in the collection of St. Andrews University. 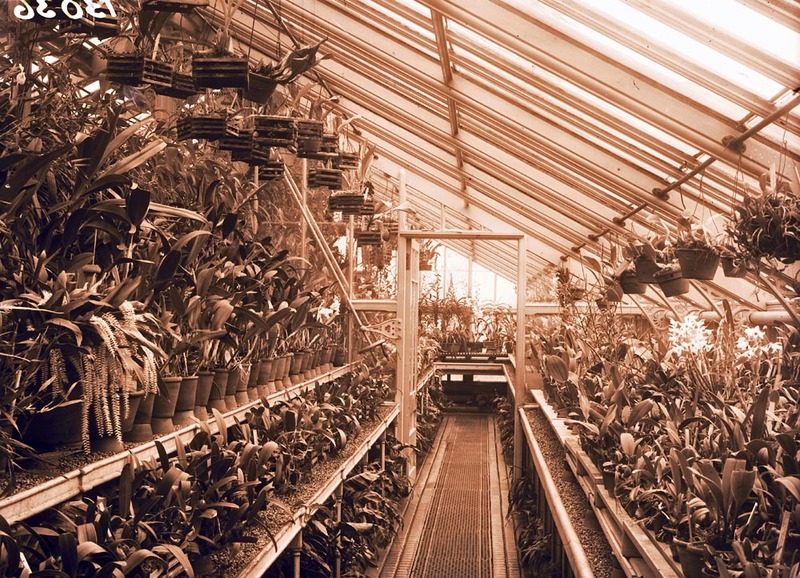 RBGE has his collection of plant portraits and Garden shots taken here- it numbers an estimated 30,000 plates. 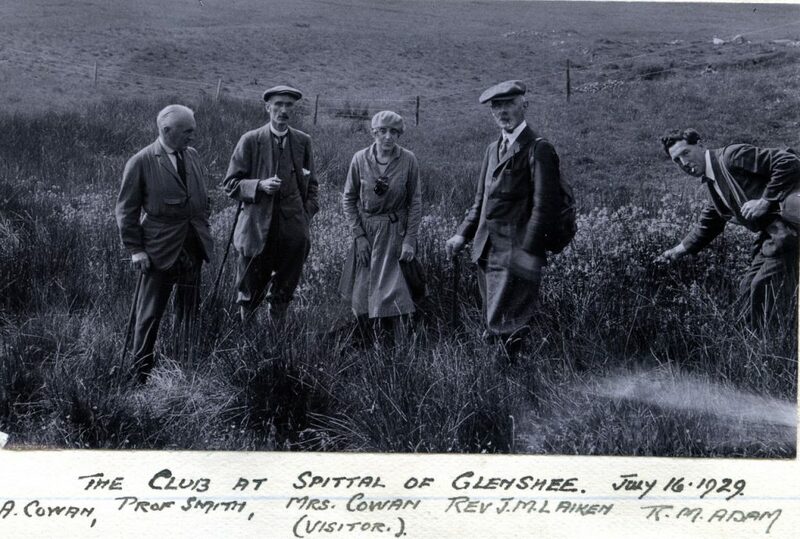 I particularly love this shot of the Scottish Alpine Botanical Club in 1929 with Adam just getting into shot, but managing to botanise and smoke at the same time. In the later twentieth Century his mountain photographs have provided conservationists and landscape historians with a reliable historic record of the landscape and rural life. He specialised not only in capturing the drama of the Scottish landscape, but also its character often now lost, travelling to Mingulay in 1905 to record the people and their lives, and returning in 1922 after the island had been evacuated, the houses now piles of rubble. This last trip must have been especially poignant as he had travelled there first with his older brother who was killed in 1918 during the First World War. Robert himself served, first with the Royal Garrison Artillery as a gunner, and latterly as a photographer with the Royal Flying Corps. 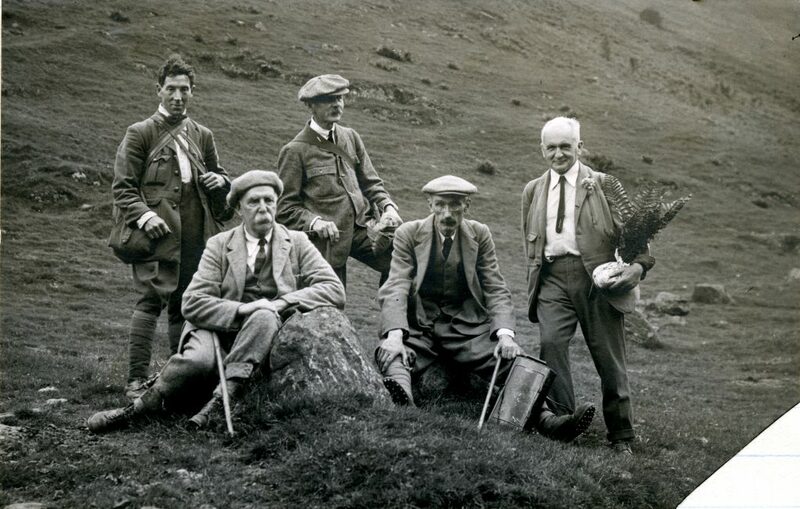 In 1929, Adam campaigned to save Glen Affric’s beauty from being destroyed by a hydro-electric scheme, sending four of his best photographs of the area to the media to highlight the threat they were under. From then on, Parliament inserted adequate safeguards into the Bill allowing the developments to ensure the landscape was protected. “Pinus sylvestris: Native pines on shores of Loch Maree, Rossshire. A remnant of wood which has frequently been injured from fire. The trees are growing among moraines with outcrops of Torridon sandstone. 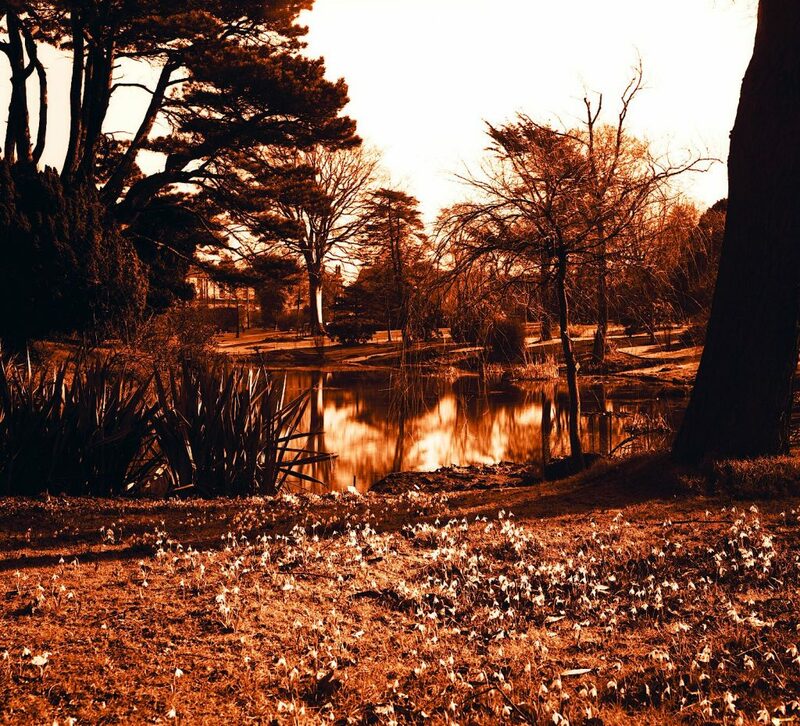 Seedling pines are met with on the moor in close proximity to the old trees.” -from a print found in Adam’s collection at RBGE. 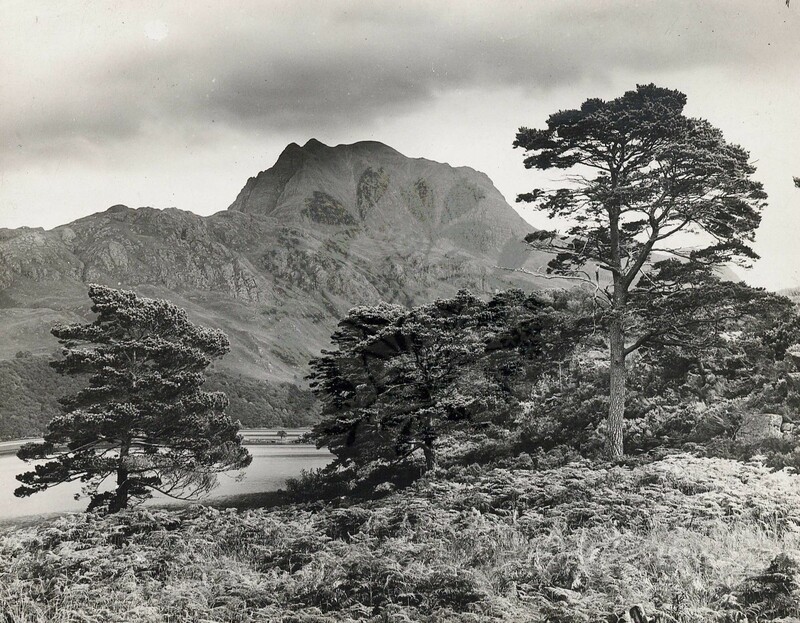 Its negative, RMA-H-2450; “Remnants of Scots pine trees on south-west shore of Loch Maree with Slioch in background” taken on 5 September 1930, is held at the University of St Andrews. When Adam retired in 1949 he moved from Edinburgh to Kingussie, this involved moving over 14,000 of his own negatives with him – the only company he could find that would insure them would only do so as sheets of plain glass, and even then, only if he could complete the move from one house to the other in under 24 hours – a break down and a snow blizzard made this task more thrilling than I’m sure he would have liked. He remained an active photographer until a heart attack suffered at Glenfinnan in in 1956 curtailed his activities somewhat. He moved back down to Edinburgh to stay with family and died in hospital there on November 13th 1967, the end of an era. I’m writing a case study of Robert M Adam in my photography dissertation and this article has been incredibly useful, thank you!